I’m taking a break from the immigration application stress, and deviating from the usual posts about projects and sketches and things, to tell the story of how I finally tracked down a long-lost book from my childhood. It’s a very long story, and it does include a drawing I’ve never posted before. “Swan Lake” did turn out to be a little above my reading level, but my parents read it to me and it became one of my favourites. The pictures inside were just as pretty as the cover illustration, and I was obsessed with one in particular. This picture would be the only thing I’d remember about the book for a very long time: Odile and von Rothbart at the ball, Odile holding up a fan to barely conceal an evil smirk. The painting was all dark colours and an oppressive, evil atmosphere, and I loved it and was creeped out by it in equal measure. A few years later, my family was preparing for a move, and my brother, sister and I had to get rid of a lot of our things. Remembering how bitter I was about moving, it makes sense to assume that I put off picking out things I didn’t want anymore until my parents were forced to do it for me. This is how Swan Lake ended up in the yard sale, and I didn’t know until too late. My family moved. We moved a lot during that time, and then we moved back to my hometown, and then there was middle school and high school to survive. For a very long time, I forgot about Swan Lake. While living in Savannah, Georgia and starting to take commissions, I suddenly remembered the book and how much I’d loved the pictures. I wondered if I could find it again, even though I knew very little about it. For about a year and a half, in my free time and when I could remember it, I tried different combinations of search terms on Google Image search. Nothing came up. I was disappointed, but soon I was planning to emigrate to the UK and get married, so finding the book wasn’t my most immediate concern. For the last two years, though, I have been actively looking for Swan Lake. Google Image searches of any combination failed me (“swan lake children’s book odile von rothbart,” etc. ), so I found a list of Swan Lake storybooks that would have been in circulation at the time, and one by one began to rule them out. “Swan Lake” by Mark Helprin, with illustrations by Chris Van Allsburg, was the first on my list, and the first result that came up whenever I searched for “swan lake children’s book.” The cover seemed almost right, mostly white with swans, but the fact that the book is part of a trilogy, and the look of the interior illustrations, made me certain that this was not the Swan Lake I was looking for. Just to be sure, I searched for the title + author + “Odile and von Rothbart.” The picture that came up was very pretty, but entirely wrong. It was too modern, the pose was completely different, and there was no fan and no smirk. I didn’t bother ordering this one; while it looked very nice, it wasn’t what I was trying to find. Next was “Swan Lake” by Anthea Bell, illustrated by Chihiro Iwasaki. I was so conflicted about this one. The cover was even closer to my memory than the previous book, but image searches turned up no results for interior illustrations of Odile or von Rothbart, and Iwasaki’s style didn’t seem quite right. I ordered the book anyway, and when it arrived, I opened it immediately to the page that introduced Odile. Again, it was completely wrong. Iwasaki had painted a suitably creepy Odile, but it was not the Odile that I remembered. Interestingly, the previous page showed an entirely different woman smirking and holding a fan, so I did briefly wonder if this was the right Swan Lake, and that my memory was at fault. Eventually I decided to trust my memory and keep looking. With “Swan Lake” by Margot Fonteyn, illustrated by Trina Schart Hyman, I thought I had finally found it. 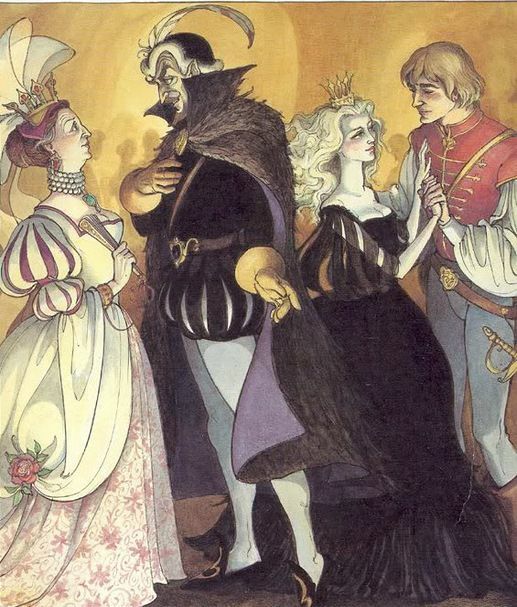 True, the cover was all wrong, but the interior illustrations were so pretty, and there was even a creepy image of Odile and von Rothbart — though not the picture I remembered. I sent links to my parents, who definitely spent enough time reading this book to me that they may have had a vague idea of how it looked, and they agreed “it does look like the kind of book we would buy for you.” I ordered it, hoping to be surprised by an illustration of Odile with her fan that wasn’t in the image searches. But while the illustrations were very beautiful and Odile was very terrifying, it wasn’t the right book. Not at all. Did the right book even exist? I was starting to doubt it. My mom said “You’re an illustrator, draw your own version,” so I did. My drawing of Odile and von Rothbart at the ball filled in the blanks in my memory with Odiles and Rothbarts from other sources. My Odile had the hair and the Rothbart of Trina Schart Hyman and the dress colour of Chihiro Iwasaki, but the pose that I remembered, the devious facial expression half-hidden by the fan. Maybe there was no correct Odile and von Rothbart illustration out there at all. Maybe my memory was playing tricks on me, combining other images that I remembered into one vague picture that never existed. 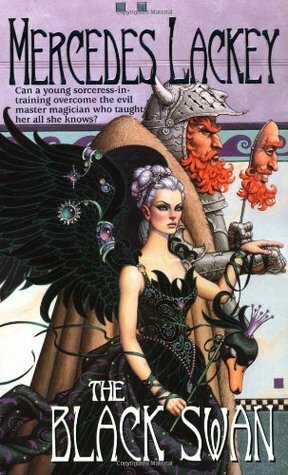 Now that I thought about it, there was an almost right cover illustration to “The Black Swan” by Mercedes Lackey (a book that I had checked out from the library when I was young and returned the same day because the opening chapter contained an upsetting scene that was definitely beyond my reading level). Maybe that’s what I was remembering more than anything else. Maybe it was time to give up. Then, one morning, I woke up and remembered something new. There were no relevant image search results for Odile and Redbeard at the ball, but when I did a regular search for a Swan Lake children’s book that used that name instead, I got one result. 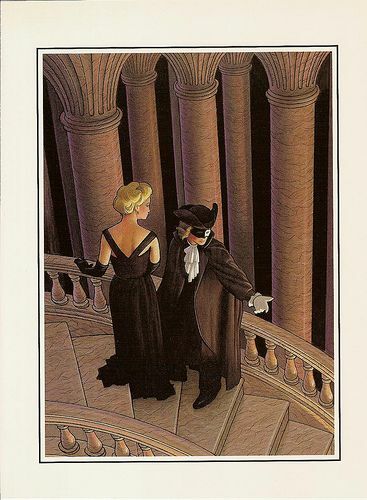 I did image searches for the illustrations for this book, and for the illustrator himself, Russ Flint. I found nothing useful. But Amazon US was selling the book cheap, so on a whim, I bought it and had it shipped to my parents. If this wasn’t it, I decided, then the book simply didn’t exist and I would finally give up. Mom sent me a message a few days later, with a picture attached. “Your book is here,” she said, and as soon as I saw the thumbnail of the cover illustration, I knew this was the right book. Mostly white, as I had remembered, a watercolour illustration with swans, but not quite as blue as I thought. I remembered being eight years old and trying to copy the angle of Odette’s head and the energy in her pose, though I didn’t know enough about the human figure to get it right. So the search is finally over. The book that I never meant to lose will be on its way back to me very soon, and I can’t wait to see the other illustrations that I didn’t remember quite as clearly. And I plan on correcting the cover illustration on every site I can. If someone else out there is looking for Swan Lake, maybe they’ll have an easier search than I did.